Q. What's with the pug head? A. The name of my blog came from the fact we wanted to adopt a pug, but my love of spiky plants, combined with their buggy eyes, spelled disaster. 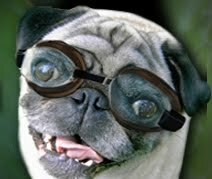 My husband joked the pug would need to wear goggles, hence the photo. In reality we found a chug (pug chihuahua mix) whose longer nose and less buggy eyes provided all the protection she needed, no goggles necessary! 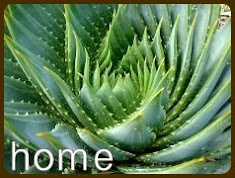 What it's all about: Nice plants are boring – my love is for plants that can hurt you. 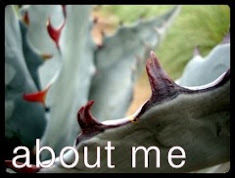 Agave, yucca, anything with a spike or spur! I garden in NE Portland – USDA zone 8b. Having grown up in Spokane, WA, (zone 6) I don’t take our weather here in Portland for granted. I hate telling my mom, when she admires a plant in my yard, “sorry that won’t grow in Spokane.” Although I long for the exotic plants that my brother in Phoenix, AZ, and my in-laws in Los Angeles, CA, can grow, I know I've got the best of both worlds here in Portland. We have a wealth of great nurseries, adventurous gardeners and great garden designs and I plan to share them all with you here. My disclaimer: I am not pretending to be an expert on anything other than my own garden, nobody knows that better than me. I’ll often sound like I know what I’m talking about, and then again sometimes I’ll sound like I don’t, take it all with a grain of salt. My opinions may offend you; if that’s the case feel free to let me know. I love comments, both the good and the bad, but if you’re a spammer I’ll delete you, so don’t bother. Do you have a large picture showing the layout of your backyard? I love reading your blog! Very interesting to see what a garden in a climate that's completely different from the climate I live in (just outside of Stockholm, Sweden) can be like. Wow, just found your blog, and I am amazed and inspired. 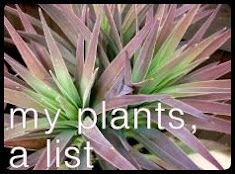 I'm a beginning gardener who stumbled on your site looking for a plant I just bought. Your yard is AMAZING! Bravo! This is the coolest plant blog ever!! Count me in as a fan. Not in the palmy kinda way, but only as a person who appreciates much of what you appreciate. My best, and I look forward (and back!) To each of your posts. I found your site by chance today and enjoyed reading about the bamboo plant last year and also about the bishops plant with the flamingos in trees, solar lights. I just watched a video about the 3 different types of bamboo. One for inside, one for outside and one that will take over so its best to contain it. You made a statement about getting permission to use images. I pin a lot on pinterest boards is that allowed? Of course! Thank you for asking Sandra and please feel free to pin away! I was referring to publications, newsletters and the like which might be tempted use a photo without attribution. I just now saw I never replied to you here. I did email you though right? Just realized that my comment may have come off as spam. No spam intended...I just get excited about cactus! Thanks again. Thanks Michael, and nope I didn't think it was spammy at all! 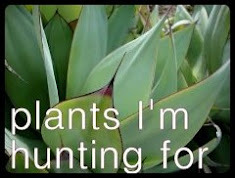 And I think you need to get High Desert Native Plants LLC on plantlust.com! Saw your Plant Lust site. Wow! Looking great! Noticed you have an advert for The Garden Blogger Fling in Portland in '14. I assume you'll attend. Will your garden be on the tour? I'd love to see it! When can one register? I'd like to go--schedule willing. Ah thanks, glad you like the plant lust site. We've still got a lot of work to do but it's certainly coming along. As for the 2014 Fling, yep! I'm part of the planning committee putting the event together...we'll announce when the registration is open on the GBF facebook page and on the blog (http://gardenbloggersfling.blogspot.com). We need to have a better idea of the costs involved before we can open up registration. We're also still narrowing down the list of gardens we'll visit but yes, mine might very well be one of them (scary!). I am a college student currently living in Lincoln, NE getting ready to move out west to Corvallis OR and just happened to spot your blog by chance! I love seeing what and how you're growing, we share our love of succulents and hard finds. Thank you for sharing your tips and tricks they are much appreciated. I love succulents, not to easy to grow in my humid climate. Great blog! Love your blog… I am looking for a bed and breakfast to purchase that is close to a botanical garden and has a garden of it's own. I has no parameters, just potential, and where I can cater to people who love to garden and enjoy touring botanical gardens. I am from Miami and Fairchild Tropical Garden is my local Botanical… It is the largest palm garden in the world. Hold on! You love plants that may potentially hurt you, but you don't like conifers? Well, perhaps you should visit my blog and discover some painfully lovely possibilities to change your mind. I found my way here by way of a Google search and landed on your 'Whipcord' page. Shoot, I was so excited when I googled you up. I thought surely you must be in my neck of the woods, not. Century plants and agave are the most abundant natives and many varieties of catclaw. I'm between an estuary and a bay, between Galveston and Corpus Christi TEXAS. Have you fans near me? I love your blog! I wish we had known each other when I lived in Portland. I just moved to Tucson last July, 2013 after 30 years in Western Oregon/Portland. Though I miss fuchsias and ferns, I can now plant (and have!) for Tucson's 9a climate (maybe 9b). I have planted Jacaranda, Thevetia, Grevillea robusta and many other delights that do grow and bloom here though are listed as marginal. My house came with mature Valencia orange trees and a mature grapefruit with ocotillos by the dozen. Needless to say, I'm in plant Nirvana with bougainvillea blooming in January and Feb. Please look me up when you visit Tucson again! I'll continue to enjoy your blog in the mean-time! Just found your blog and I love it!! Like you I love the desert climates and planting but your garden is also so exotic compared to my garden in England! Do you post on Instagram too? All the best to you, and maybe I'll be up your way in the future to see dangerous gardens. Helena. Since you have such enthusiasm for pointy plants, I feel that I should share this quote from Tim Toula's rock climbing guide to Oak Creek Canyon near Sedona AZ. Tim writes that "Climbers in Oak Creek need to become amateur botanists. This is an easy task as the plants can be divided into two groups: 1.) those that hurt, maim, or kill 2.) those found elsewhere." I don't know if Tim is a gardener, but I am and I love your blog. I love that! Thanks so much for sharing it. I know nothing about gardening but continue to find looking for ideas on landscape design. i'm drawn to succulents and cactus of course but i live in SE Portland. Any ideas for plants that would make a great barrier wall? I'm searching for something that grows high but not wide as I have a narrow walkway I need to keep open. I have 3 neighbors whose homes back up to mine and trying to maintain some sense of privacy. Oh- and they can't be leaf bearing as theres a pool. I want so badly to line that wall with big spiky cactus! I ran across an older blog that spoke of "Flying Dragon". Do you still have it? How is it doing? I just got one and am very, very excited about it! It's doing fine. I should probably move it to a sunnier location, as the plants around it are now shading more than it likes. My straight Poncirus trifoliata (not as twisty, grows taller) bloomed and set fruit last year. Nice work! Pleased to know the blog was helpful. Hello, I just discovered your blog while searching for ways to cover my ugly brick wall with plants. I live in Glendale, AZ and got curious. Anyway, the next time you come to Phoenix, I suggest you take a jaunt downtown to the Phoenix Convention Center at Washington and 5th St. They have a wall of plants there that are purely watered from the AC runoff from the building. It's a big wall. You can sort of see it on google maps but it's better in person. Thanks for the entertaining posts! I will be browsing your site more in the future! Ah, thanks for the tip! I will definitely check it out. And I hope you find some useful info here, good luck with your wall! 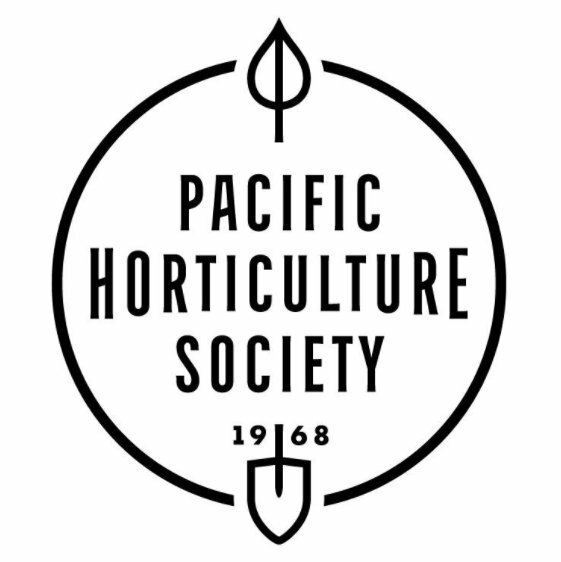 ​I was lucky enough to do a garden tour with the Northwest Horticultural Society this past summer and had the opportunity to visit your ​amazing succulent ​garden. 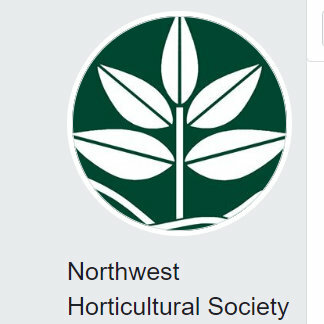 ​​I'm a member of Harbor Gardens, an NPA garden group here on the Kitsap Penninsula, and I'm helping to organize a garden tour for this upcoming summer. ​There are usually about 35 women on tour and we travel on a large bus which has its undercarriage filled with plants when we head home at the end of our trip. 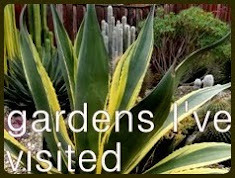 ​Gillian Mat​h​ews shared your contact information and we are hopeful that we​'ll be able​ visit your ​unique​ garden. 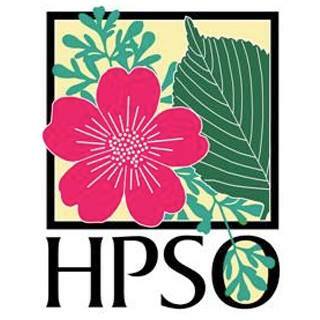 ​Our tour stretches over three days and I have already confirmed our visit to Lucy Hardiman and her friend Nancy Goldman's gardens along with two of their neighbors on Tuesday, June 5th​. 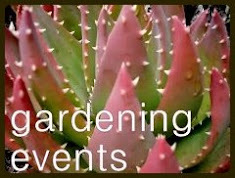 We are staying at the Oregon Garden Resort and will nursery shop on the Wednesday between those two dates. I'm hoping that ​the morning or early afternoon of Thursday, June the 7th​ will work for you and that you will be able to welcome us into your garden.​ ​Looking forward to hearing from you.